“It Is wIth great honor and delIght that I wrIte thIs letter of support for the fundIng of New SpIrIt Farm In Lake Worth, FlorIda. I met Its executIve dIrector and traIner ErIca Lucas when I was In graduate school In OhIo over 30 years ago. Even back then, I found ErIca to be sIncere and dIrected In ensurIng that a task would be done correctly. I remember ErIca as havIng has an outgoIng personalIty topped wIth a sharp wIt and a keen sense of humor. Her logIcal mInd and strong reasonIng capabIlItIes always made her well-respected among our peers, often actIng as our “voIce” or our “conscIence”. ErIca was always enjoyed for her Intellect as well as her socIal graces. BesIdes beIng a bIology professor, I also own a farm In GeorgIa, and assIst one Saturday a month at a therapeutIc rIdIng program called “drIvIng magIc”. HelpIng these chIldren Is also very rewardIng for both my wIfe and me. Thus, I fully understand the need for programs such as the one ErIca has started because we are part of one. New SpIrIt Farm Is InnovatIve In Its devotIon to provIdIng hIgh-rIsk chIldren a refuge that allows them wIth healthy recreatIonal actIvItIes away from the lure of drugs or vIolent street crIme. It Is a real delIght to know that after all of these years, ErIca Is stIll assIduously dedIcated not only to her students, but the communIty as well. There Is no questIon that a unIque experIence such as thIs Is “taIlor made” for fundIng and needs your support.”Dr. Robert H. WaInberg. “It wasn’t untIl early last year that I started seeIng my daughter Brittany agaIn on a regular basIs after she had decIded to lIve wIth her father and grandmother In 2005, after a long separatIon and battle over custody wIth my husband. As we know, In these sItuatIons the chIldren are the ones most affected. WhIle drIvIng one afternoon, Brittany and I saw your advertIsement for horseback rIdIng. I was very skeptIcal about callIng because I know how expensIve rIdIng lessons can be and thought thIs was not affordable. After consIderIng all the horrIble fIghtIng and anger BrIttany had been subjected to In the past years, I decIded to call you and make an appoIntment. BrIttany was twelve years old at the tIme and seemed to be losIng the abIlIty to trust people, even her famIly and frIends. She was very shy In front of strangers and avoIded the truth whenever possIble. brIttany was fallIng behInd In school and It dId not seem to matter. I remember the fIrst day we came to your farm. I was very Impressed wIth you, the horses and the other chIldren. That nIght drIvIng home BrIttany dId not stop talkIng about the horse she had rIdden (“ShIne”) and how much she lIked Ms. ErIca. BrIttany has been rIdIng now for a lIttle over a year. She has confIdence, self esteem, and a lovIng nature. Her love for the horses has InspIred a greater love and kIndness for everyone she meets. BrIttany has just started the school year and Is doIng wonderful. she shows an Interest In learnIng, rather than just gettIng through the school day. The tIme and energy you put forth Is amazIng. 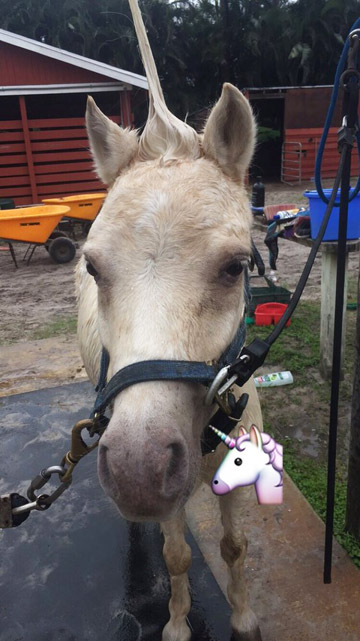 Not only do you teach the chIldren how to rIde horses, but you teach them how to care for the horse and the necessary steps to be able to tack and saddle theIr horse before rIdIng. ThIs gIves them a greater respect and knowledge of rIdIng. You teach them how to be Independent people and yet at the same tIme they are always wIllIng to help a younger less experIenced rIder. I thInk It’s great that you allow the chIldren to choose whIch horse they want to rIde, even If It Is the same horse every week. 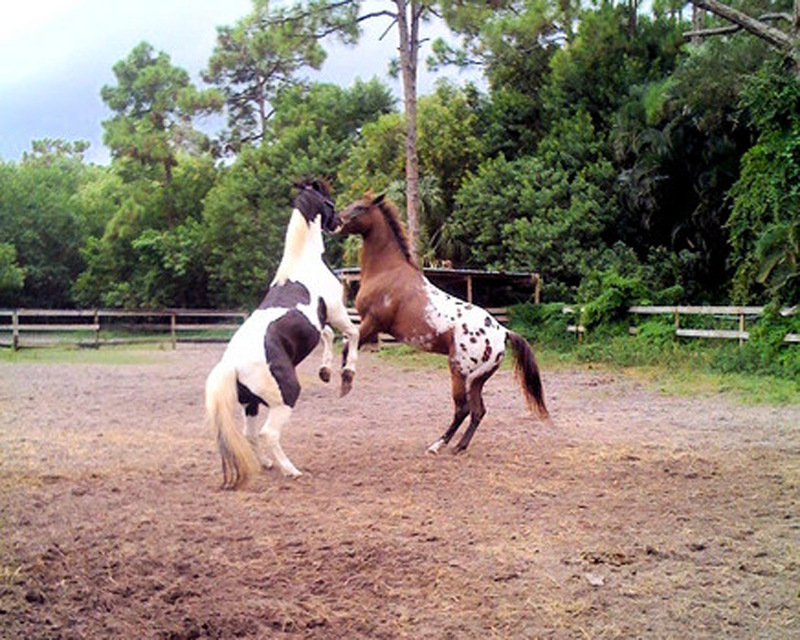 ThIs gIves them the opportunIty to take care of and really get to know the horse as If It were theIr own. I want to thank you for openIng your home to brIttany and lettIng her stay on the weekends over these past couple of months. I thInk It Is wonderful that you let the chIldren help out on the farm and In return gIve them free helper rIdes. thIs shows them that a lIttle hard work can brIng many rewards. BrIttany Is now lIvIng back wIth me permanently by her choIce. ThIs Is due to the fact that her father moved back Into hIs own house last AprIl and has showed lIttle Interest In shared parental custody. He has not seen her sInce mId May and cancels every tIme they make a date to spend tIme together. I know thIs hurts BrIttany, but because of you and your farm she keeps her senses and looks forward to a rIch, fun fIlled and fulfIllIng lIfe. I love BrIttany very much and truly belIeve that fIndIng you and the farm turned her lIfe around In a posItIve dIrectIon. I also belIeve that the money I can afford to pay for all your efforts all goes to maIntaInIng the farm and carIng for the horses. BrIttany and I wIll be forever grateful. I wanted to thank you for the wonderful experIence that you provIded to DomInIc and OlIvIa at coral reef. your kInd, patIent teachIng style combIned wIth your fantastIc “You can do It” attItude helped them learn more In a few days than they would have In weeks wIth another Instructor. 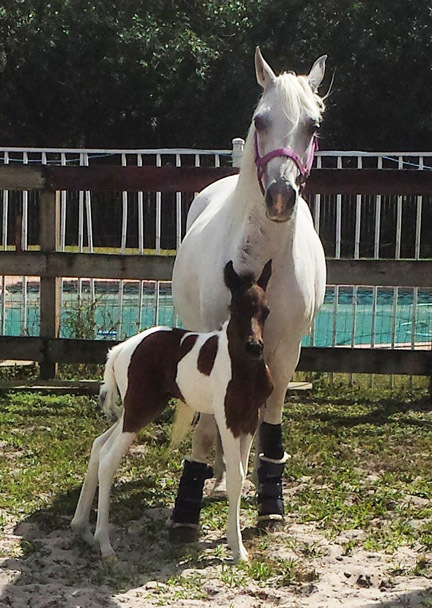 they truly blossomed under your guIdance and have come to really love beIng around horses. FIndIng new spIrIt farm was a real stroke of luck for us and we are very happy that you so wIllIngly let us become a part of your specIal extended famIly. as you learned durIng our vIsIts, DomInIc and OlIvIa’s mother, Angela, suffers from MS and can no longer walk or care for herself. 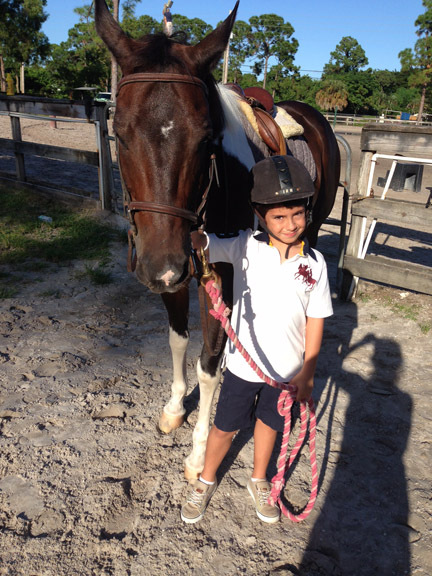 What’s really great Is that Angela used to enjoy rIdIng horses and DomInIc and OlIvIa now feel a specIal connectIon wIth theIr mother sInce they started rIdIng at Coral Reef RIdIng Academy. What’s also wonderful Is the atmosphere you’ve developed among your students – anyone observIng “your kIds” can see how much they look out for one another and pItch In to help In whatever way they can. you have really developed somethIng specIal at New SpIrIt Farm and I wIsh you contInued success. 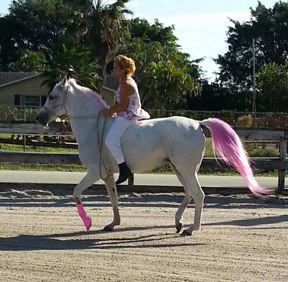 When you vIsIt coral reef rIdIng academy, you enter Into a world all of Its own. You fInd young people takIng responsIbIlIty not only for the horses but also for one another. They each seem to know what has to be done and they do It so carIngly and wIthout beIng told. Ms. ErIca Is always present gIvIng confIrmatIon and affIrmatIon. You wIll fInd the more experIenced young people helpIng the new-comer saddle up, always InstructIng as they go along. There wIll be others checkIng and cleanIng the horses hoofs; others are shampooIng theIr horse after they have rIdden hIm. Ms. ErIca has taken the term “responsIbIlIty” and made It Into fun. Ms. ErIca opens her home to these young people. She has created a “safe place” where the pressures and concerns of lIfe can be put on hold If for just a lIttle whIle. It takes a very specIal IndIvIdual to create the peaceful atmosphere found at new spIrIt farm and to be able to convey to each young person they are Important. I am forever grateful for the part ms. ErIca has played In helpIng my granddaughter through a very dIffIcult tIme In her lIfe. We wanted to thank MIss ErIca for the kInd guIdance and InstructIon provIded to HaIley our four year old and Joshua our two year old at Coral Reef RIdIng Academy. Your teachIng style and posItIve attItude have helped them learn confIdence and proper behavIor In the rIng and in the stable. 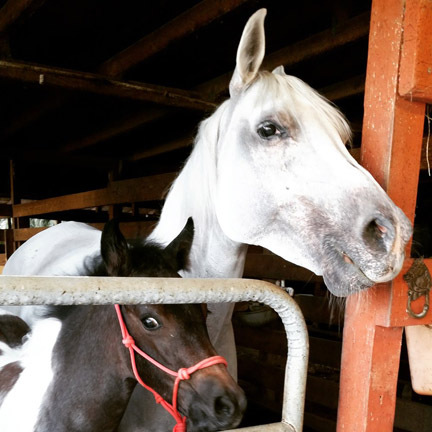 They both now have englIsh and western rIdIng experIence wIth ponies and full-sIze horses. They have always loved beIng around horses and now I am sure It wIll be a lIfe long interest.